What do you guys put when you do the pillar mod. Like trans temp,water and stuff like that. Been wanting to do just dont know what to put there. I have oil press and trans temp. IMO the two most imp things in my truck. Just so many options and limited space. 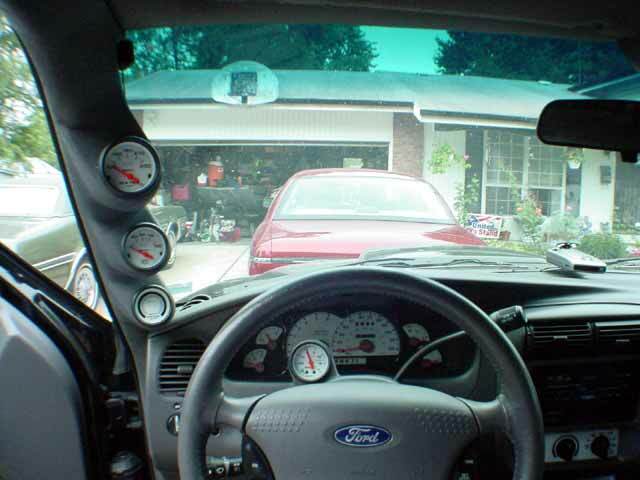 I am running oil pressure and volts on the pillar, both of which are not in the 04+ cluster. Water temp is on the column in a mustang column gauge pod. I think i will do trans for sure and see what other one I may need or want. I need to figure out what gauage's I want. Then see if I wanna do a 2 or 3 pod. Thanks for all the help. LOL think that is enough? That is nice. I may to that later down the line. Man the have some nice custom stuff. Just looking for a clean nice and easy install. I am gonna do the oil and trans temp. Now just goot figure were to get the stuff and how to do it. do they make a 3 pod for our rangers?? thought they only made 2 pod. Last edited by ScottG; 01-28-2008 at 06:16 PM. ^^that is sweet, but what about your power window switches?